These rebel playing cards are inspired by 80s surf and skate culture in sunny California. 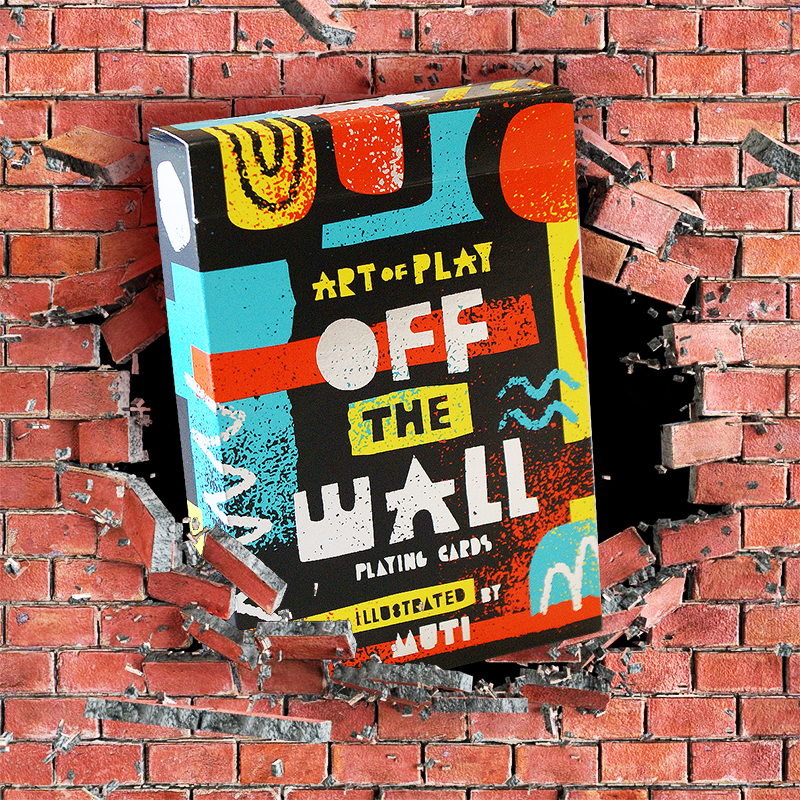 The radical design is off the wall and bursting to be played with! Their mix of abstract, bold and colorful shapes are as fresh for your next card game as they are for cardistry. This limited edition deck features a borderless back-design, oversized court cards and a vibrant tuck box printed with shinny silver foil. Designed in South Africa by Studio Muti. Printed by the United States Playing Card Co. on thin stock preferred by cardists. • The cards are poker size.